Jkevya is using Smore newsletters to spread the word online. 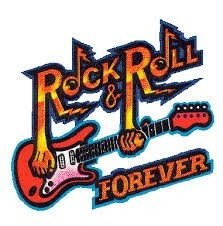 Rock 'N' Roll was introduced in the 1950s. It was introduced at the perfect time! Rock 'N' Roll was a mixture of African American blues, gospel, jazz and country music. The lyrics were about partying, females, and simply enjoying life! It gave young Americans of different backgrounds something in common. This topic is important because it brought young Americans exactly what they needed, excitement! After many tribulations and fighting the youth needed excitement. It was time for a new beginning. Rock N Roll gave youth a chance to actually enjoy themselves and let loose. It also gave young Americans of different ethnicities a common interest. 1951 - The first Rock & Roll record was released called "Rocket '88" by Turner's Kings. 1952 - Sam Phillips launches Sun Records which would become home to Rock N Roll artist. Elvis was the king of Rock 'N' Roll. He was discovered after going to Sun Records studio to record one song for his mother. In an interview he stated no one else could sound like him. His sound was unique. 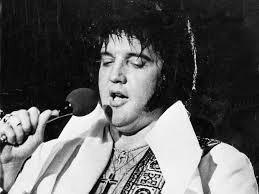 Although he could sing in multiple categories he is best known for being the king of Rock 'N' Roll.